I have a question relating to the Bakerloo's stock. Is it really in such poor physical condition that it must be rebuilt *now*, instead waiting and becoming the first to receive new stock? This could all change now though because of the SSL signaling contract falling through. I was under the impression that one of the reasons they wanted to get the 73s gone was because of the shared track with the District and Metropolitan lines, so getting rid of the 73s would allow the stock to have the new signalling system as standard, rather than retrofitting it to the older 73 stock, and also getting rid of a couple of issues that were already there (heathrow &c). 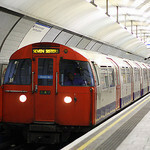 Depending on what happens with the new contract, TfL could start to replace the 72TS before the 73TS, as a "test run" on a comparatively more quiet line, and then converting the Piccadilly line afterwards when the SSL re-signalling has been done, allowing whatever signalling system they chose to then be put on the Bakerloo and once that is done, the rest of the Piccadilly. Something tells me that this won't happen though. After so long, things start to fail and parts begin to rust. The overhaul is going to be done in house at the TMU, which makes the cost a lot less than going to another company to get the work done. The first three Bakerloo (prototypes) should be ready to head down to TMU once the MPU is out the doors. Any yes, the rewelding work is already being carried out. Is it effectively the necessary inventment in the Bloos stock, then, thats the nail in the coffin for the 73ts, ultimately? I was under the impression that one of the reasons they wanted to get the 73s gone was because of the shared track with the District and Metropolitan lines, so getting rid of the 73s would allow the stock to have the new signalling system as standard, rather than retrofitting it to the older 73 stock, and also getting rid of a couple of issues that were already there (heathrow &c). If the Bombardier contract had continued '73 Stock were due to fitted with in-cab signalling displays from the middle of this year, for operation form Barons Court-Northfields/Uxbridge. 1. what exactly do you mean by rewelding? 2. When can we expect to see a prototype or infact a fully refurbished 72ts unit? 3. When will the 73 stock be replaced now that it seems the 72s will be rewelded? I would also raise the question of mileage - with the demands of Heathrow and the length of the line (71 kms Piccadilly, 23 kms Bakerloo), I wonder if the 72's have far less miles under their belt then the 73's. Would very much like to know the average mileage of both stock. The length of the line would be largely immaterial I'd have thought. It would be more likely the average speed that'd dictate the accumulated mileage. For example if a train on the Bakerloo line does Harrow to Elephant three times as frequently daily as a Piccadilly train does Cockfosters to Heathrow or Uxbridge then the accumulated mileage would be almost identical between the two. Taking the age of the trains into consideration I'd hazard a guess that there's not a lot in it. On the other hand, I play the guitar and sell fishing tackle in my spare time so what do I know?! Not very much most likely! First 1972 Stock goes to Acton Works soon as Train 1 for the "Life Extension Project". Now folks, just bear with me on this one, because it is just a whacky idea that popped in to my head (as many do), would it make any sense to nick the D78 Stock's Dot Matrix Info Systems as they go out of service? It'd save a little bit of money on the "life extension project." The 72's will need them if they are going to be in service beyond 2019 to comply with DDA. I don't really see it that way. The Piccadilly Line should have been part way through its upgrade by now if things had stayed on their original programme. Obviously an awful lot has changed since then but the problem is that the old maintenance and refurbishment assumptions were designed on an assumed withdrawal date for the 73 stock. That has now been somewhat stretched by a few years meaning that the 73s have to limp along in service for a few more years. In addition there is the issue of the Picc line's signalling system (even ignoring the shared bits with SSL) and the ancient control system. I believe something has been done to "patch" the control system a bit (Centralised Train Following System??) to give the controllers a bit more info on where the trains are. I expect there are also issues with power supplies (traction and signalling) and track and depots which an upgrade would pull together in one renewal / enhancement package. Nonetheless for such an intensively used service that supports travel to / from Heathrow, many suburbs and a vast slice of the West End there comes a point when you can't delay any more. There has also been considerable political pressure on the Mayor to get this upgrade off the starting blocks and give it funding. 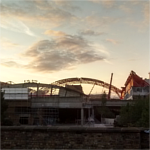 The recent SSL signalling developments create both risk and an opportunity as to what you do with the Picc Line alongside SSR services in West London. It remains to be seen what precisely emerges in terms of a co-ordinated plan once LU has re-awarded the SSR signalling contract. I expect LU does have a plan to adjust service patterns but whatever it decides to do will have advantages and disadvantages and the key will be to pitch the proposals in such a way that people don't feel deprived. In comparison the Bakerloo has long been a "make do and mend" line with hand me down rolling stock and a low profile compared to other lines. It was always at the back of the queue for the Line Upgrades so it's no surprise that the Government has effectively twisted Boris's arm that it will allow the start of the Picc Upgrade but won't give a commitment to a wider programme of upgrades. The 72 stock is 40+ years old and it should be heading to the scrap heap but instead it has to soldier on. Given their age it is no surprise that some level of remedial action will be required - probably to underframes, bogies and bodywork but I am guessing about the parts that need attention. Given the Bakerloo is quiet (a relative term given how busy LU is overall) compared to other routes it's no surprise there is less pressure to upgrade it. I expect that the Mayor probably thinks the Bakerloo's issues can be resolved alongside a decision to extend it into South London. I'm not convinced myself as I think any extension proposal will be bitterly fought over because each council will want a new line in "their" area  while outer Boroughs will want guarantees they won't lose their main line commuter links to the City / Charing Cross . Further, pressure to build Crossrail 2 will inevitably shove any Bakerloo line extension way down the funding queue. The only hope is if we get a change of Mayor and Government that takes a rather different view to funding TfL than the current set up. one extension can't serve Camberwell, North Peckham, Old Kent Road, Peckham, New Cross and Lewisham on one alignment! All these areas are busy and have been cited in past studies for Bakerloo extensions. will the residents of Hayes (or wherever) want to travel to town on a tube train when their existing heavy rail services are jammed full in the peaks? Doubtful. There are usually trade offs when tube lines are built - other services get reduced to produce savings especially if the tube lines takes over / replicates existing NR services. Snoggle - the 1973ts is hardly 'limping' along, and thats my point. The *impression* seems to be that structural work is needed so immediately for the Bakerloo stock that new stock could not be developed and ordered for whatever line and a suitable cascade occur within the timescale necessary. If this wasn't the case the newer design of the more mechanically reliable, more recently refurbished 73ts would be a far candidate for serving longer. TfL have just issued new papers for the Finance and Policy Committee that includes an update on the New Tube for London plans. See the TfL paper that I linked to in a post just above this one. The imperative for the Picc Line is the vast capacity improvement and associated benefits - in other words it is really worth doing and also it's daft to delay it any more. Given it's a big project to upgrade the line then better to get going ASAP even if the trains can be made to run for a further 8-10 years or so (well LU has no choice actually!). LU has to hope it doesn't get some sort of endemic failure with the 73 stock in those 10 years. Look at the projected uplift in train capacity / tph for the eventual Bakerloo line upgrade - far, are more modest which shows that there is no pressing need to do anything substantial for the Bakerloo. It's not under great pressure nor is it forecast to be so it can limp along for another 20 years with some "pimped up" 72 stock. Clearly there are some fleet issues so spending cash to rectify those in order to get another 20 years out of stock that is, in general terms, at the end of its life is the only viable option. LU / TfL clearly cannot justify to the DfT and Treasury that there is a compelling case *at this time* to spend billions on the Bakerloo Line. If you think about it by the time we get to 2023 or so then TfL will be saying "we really MUST upgrade the Bakerloo Line. The trains will be over 60 years old in 2033 and we cannot keep them in service beyond that. Cough up the money now or the line will have to be shut." There is a limit to "sweating the assets" and I think 2033 will be it for the Bakerloo Line fleet and infrastructure. It would be useful to have a description of what is going to be done and how much it will cost and how long it will take.